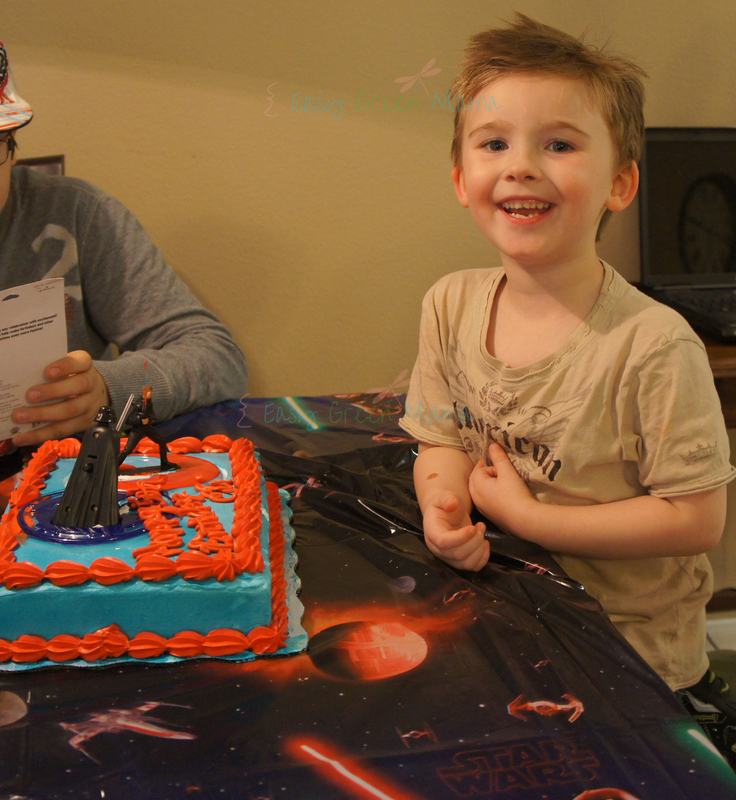 I’m sharing my oldest son’s 5th Birthday Star Wars Party! 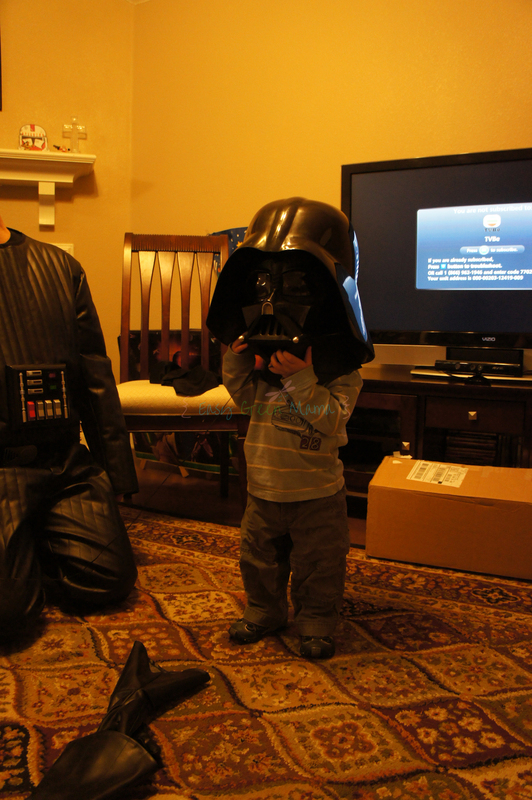 I purchased both my boys a Star Wars costume. It was 8 months before Halloween so I figured I would definitely get my moneys worth out of these costumes! 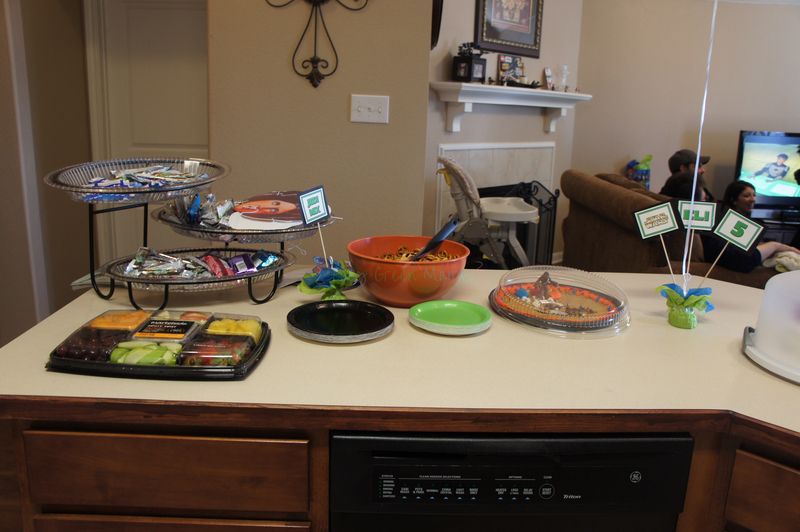 I served hamburgers, fruit tray, chex mix party mix, chips, and drinks. 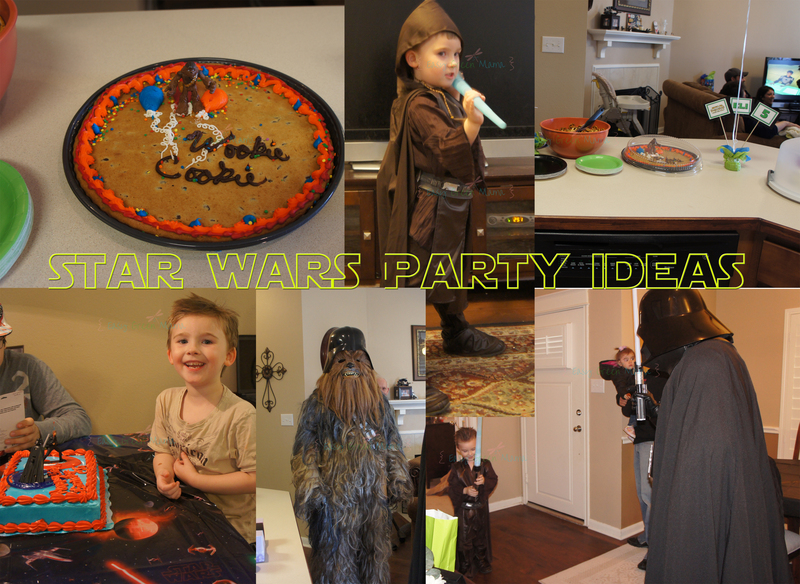 Pretty standard party food, but I wanted to have those cute Star Wars Food Labels. We had Hans Burgers, Jedi Mix, Yoda Soda, and a Wookie Cookie! I made these fun labels. 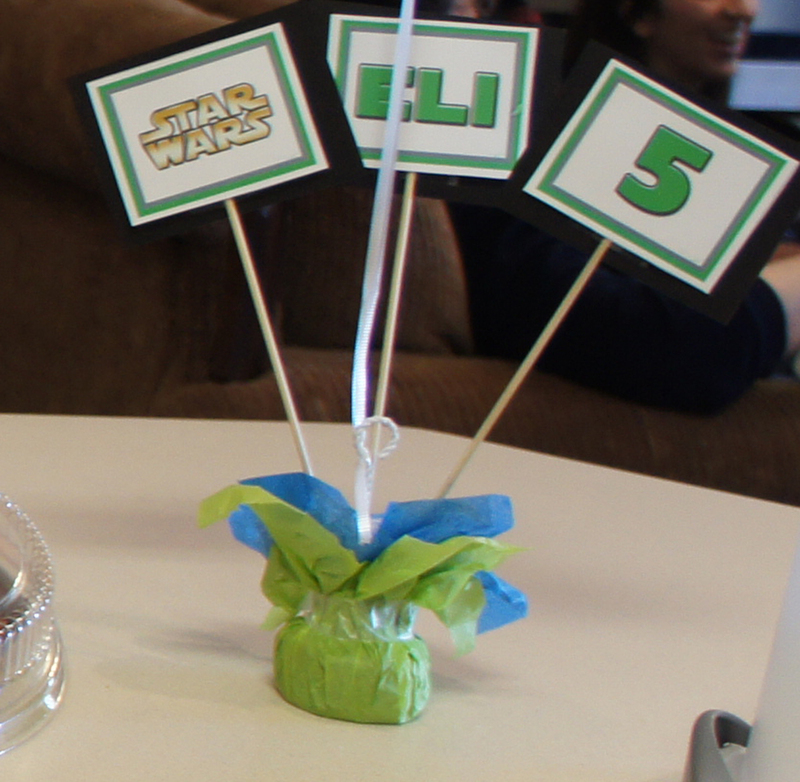 You can print and use them at your next Star Wars Party! Free For Personal Use Only: Click on Picture and Save or Print! I used these labels to make centerpieces. Just tape them to a toothpick and place inside a balloon weight. For the cakes I bought them from the grocery store. 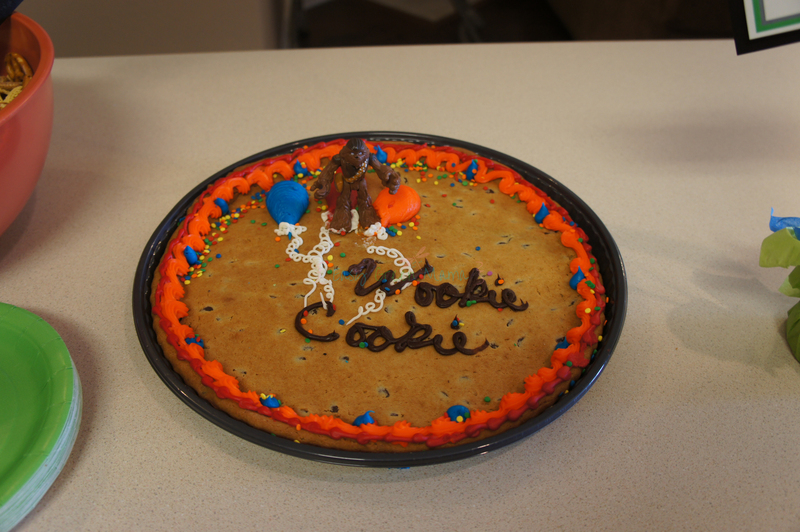 We had them write Wookie Cookie on it and placed one of my son’s toy Chewbacca on it! I love Cookie Cakes and have them at every party! 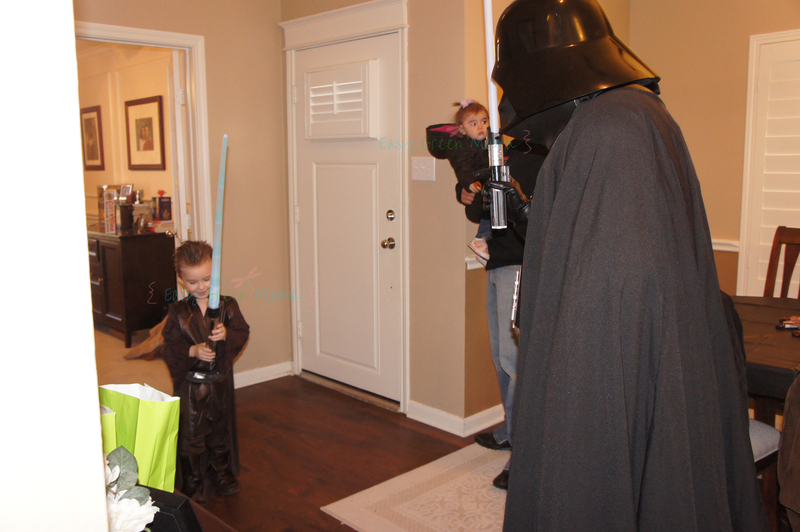 My father in law and brother in law were both just as excited about the Star Wars theme party! They actually volunteered and paid to rent costumes! They are awesome and I didn’t ask how much they cost to rent. I’m guessing $50-$75. I had the Star Wars theme music playing when they made their entrance! 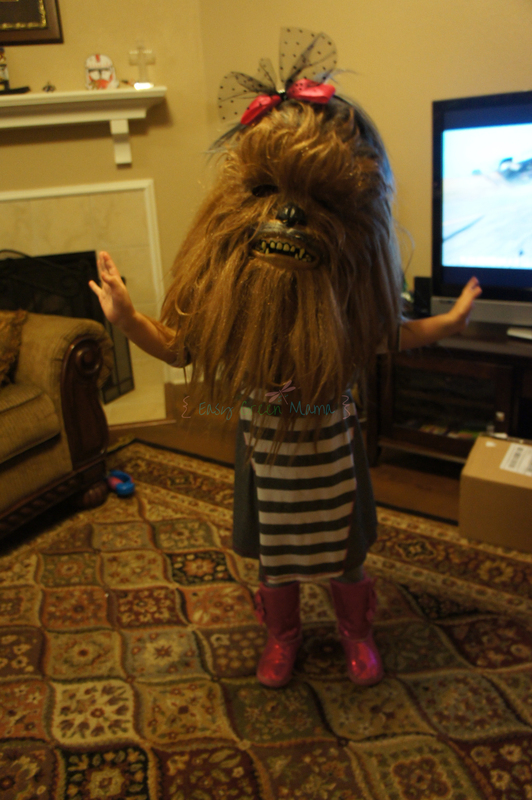 We had so much fun playing with the Darth Vader and Chewbacca mask! For party favors I bought Star Wars Coloring books and other Star Wars merchandise from the dollar store and dollar bins from Target. 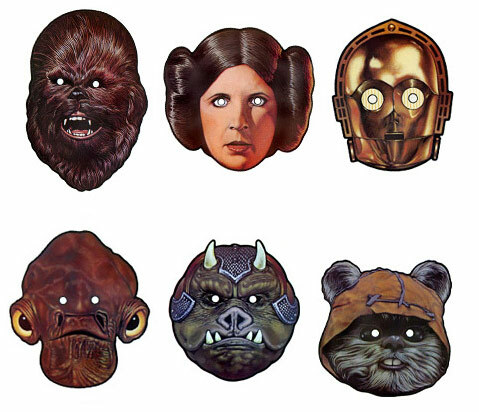 I also printed and cut out these free mask from http://starwarsblog.starwars.com! No longer on there but you can get them here now Geek Mom Mashup. The party was a huge success and lots of fun! My husband and I wore Star Wars t-shirts! I couldn’t talk him into dressing up, but he loved the party! I love this party theme! 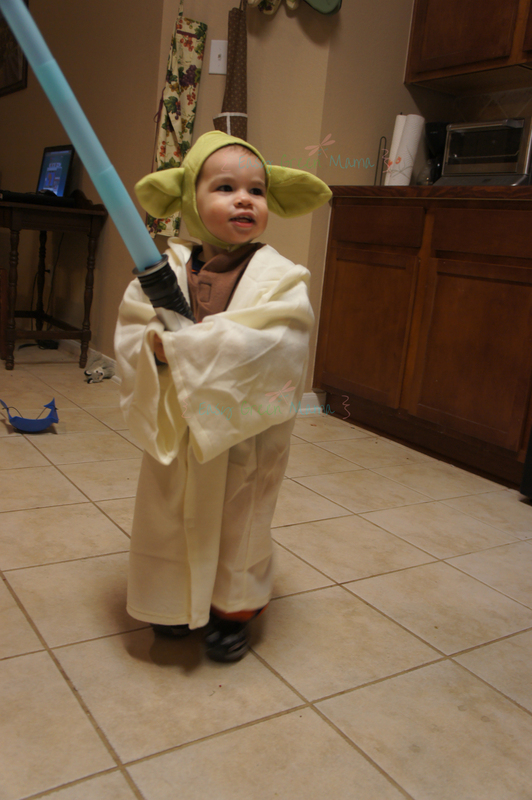 My daughter’s boyfriend is a HUGE Star Wars fan…I’ll send her the link to your blog so that she can see you great ideas!